CBD producers and retailers in some of the nation’s largest markets say they’re pressing on despite hostile statements from their state regulators that CBD won’t be allowed. Bans in several markets have largely been met with spotty enforcement, CBD entrepreneurs say, and the impact to business has been mixed. Ohio is one of the latest states to join the movement against the cannabinoid, with the state’s Board of Pharmacy last month announcing that the product is legal only in medical marijuana dispensaries. The agency sent letters to pharmacists and to show organizers instructing them to not allow CBD products. 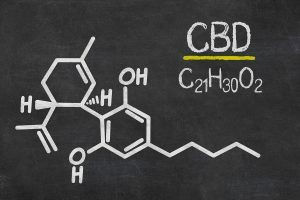 The letters tripped up Cannabinoid Creations, which makes a CBD product for horses and had been showing its wares for several years at the All American Quarter Horse Congress, a monthlong horse show in October in Columbus, Ohio. When company founder Scott Leshman asked about parking at this year’s event, the show replied that his company could no longer participate. “They forwarded me a copy of the CBD ruling and said, ‘Sorry, we can’t have you here,'” Leshman said. Leshman founded his company in Michigan but planned to move to Ohio after Michigan said CBD products must be sold in marijuana dispensaries. Now that Ohio appears to be cracking down, too, he has moved his manufacturing to Denver. He’s also in the process of getting new labels that use the word “hemp” instead of the letters C-B-D.
Other Ohio businesses see a sales opportunity in the confusion. “We’re seeing people stocking up for the worst. A lot of our customers are buying more than they typically would,” said Kent Dockus, operations manager for Clean Remedies, a Cleveland company that makes CBD tinctures and bath salts from hemp grown in Oregon. In California, the world’s largest cannabis market, the state Department of Public Health (CDPH) said in July that CBD is legal only if it comes from marijuana and is sold in that state’s MJ system. Hemp-derived CBD is considered illegal to put in foods or nutritional supplements, the most common use of CBD extracts, in part because the California health department does not consider hemp to be covered under the state’s cannabis regulations. Two months after the announcement, the agency told Hemp Industry Daily that it has not taken any direct enforcement action beyond posting notice of the ban on its website and sending a copy to local environmental health agencies. Local responses have been mixed, according to CBD operators in the state. Erika Valentina Doria said her Carlsbad company that makes CBD products for pets, Cannimal, was turned away from a Dog Days of Summer festival in Encinitas, just north of San Diego. But nearby jurisdictions didn’t balk at her selling the products at similar events across the state. Other CBD entrepreneurs also say their companies are continuing as before. “There hasn’t been any enforcement,” said Joseph Dowling, CEO of CV Sciences, a publicly traded California company that makes PlusCBD supplements. The state of Texas is taking a different approach. In March, the state health department that CBD could not be sold but failed to take action against many retail outlets already selling it. By May, Texas formally put its CBD rule on hold pending further review. Regulators have not announced any further decisions, prompting some in the industry to plow ahead and hope that rules break their way. “We have been able to sell our products without any real resistance,” said Maurice Salazar, co-owner of Go Green Botanicals, a CBD retailer near San Antonio. Clean Remedies’ Dockus and others in the hemp industry still want to see the limits formally rescinded or overruled by the federal government through taking CBD out of the Controlled Substances Act. Patrick Goggin, a San Francisco attorney who specializes in hemp, said California and other states are likely intentionally going slow enforcing CBD bans, given the products’ popularity.